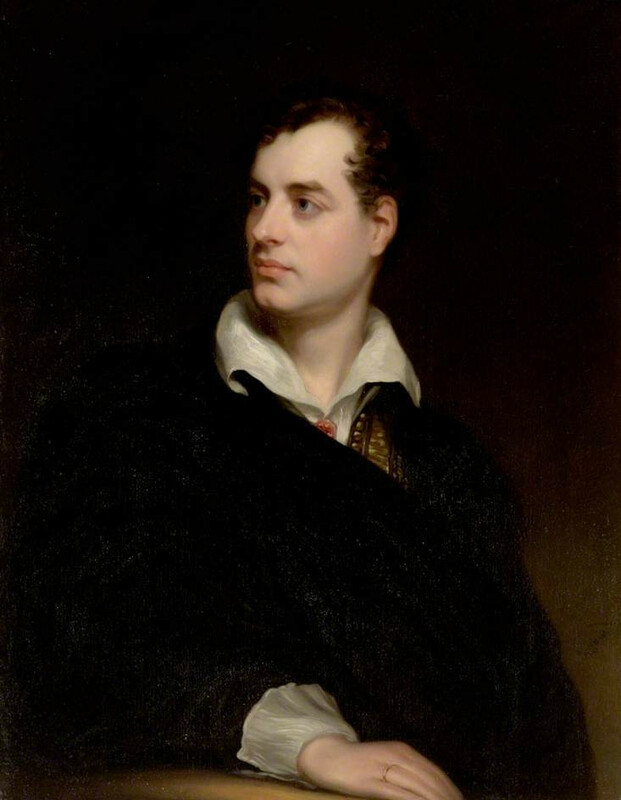 George Gordon Byron, 6th Baron Byron FRS was born today, January 22 in 1788, and known as Lord Byron, was an English nobleman, poet, peer, politician, and leading figure in the Romantic movement. He is regarded as one of the greatest British poets and remains widely read and influential. Among his best-known works are the lengthy narrative poems Don Juan and Childe Harold's Pilgrimage as well as the short lyric poem "She Walks in Beauty." He travelled extensively across Europe, especially in Italy, where he lived for 7 years in the cities of Venice, Ravenna and Pisa. During his stay in Italy he frequently visited his friend and fellow poet Percy Bysshe Shelley. Later in life Byron joined the Greek War of Independence fighting the Ottoman Empire, for which Greeks revere him as a national hero. He died in 1824 at the age of 36 from a fever contracted in Missolonghi. Often described as the most flamboyant and notorious of the major Romantics, Byron was both celebrated and castigated in his life for his aristocratic excesses, including huge debts, numerous love affairs with both men and women, as well as rumors of a scandalous liaison with his half-sister.